The first time I went to summer camp I was terrified. It was one of the first times I had been away from home without my parents, and all I wanted to do was go home. It’s been almost fifteen years and I’ve been to camp nearly every summer since. Growing up, I was shy, overweight and uncomfortable with myself. I thought that camp wasn’t for me because it was “outdoorsy” and it was only for the popular kids. However, half-way through my first week at camp, my counselor helped me push my limits and make new friends. I was having a great time and didn’t want the week to end – at camp I didn’t have to worry about any expectations at home and could just try being anyone I wanted to be. After each summer, I approached my life with a new confidence and a better understanding of who I was. When I found UniCamp as a freshman at UCLA, I realized that it was perfect for me: it could help me continue to grow and I could give back, helping make sure the experiences I had growing up were available to as many people as possible. I’m excited to be the Head Counselor for the Health, Nutrition and Fitness session this year. We are creating a week that challenges the campers (and volunteers) to go out of their comfort zones and help everyone learn ways to become healthier people. My goal is to make an experience that would have helped my middle-school self as I struggled to manage my weight, be comfortable with my body and make healthier lifestyle choices earlier in life. 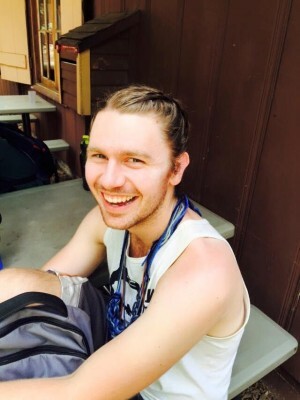 Blitzen is a UCLA alumnus (’14) and the Head Counselor for Session 6: Health, Nutrition and Fitness (2016). Blitzen will be working with the Health, Nutrition and Fitness initiative as the Head Counselor of Session 6 (2016) in his sixth year with UniCamp.